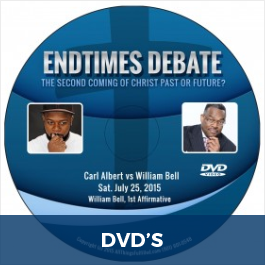 Live public debate held in Memphis, TN on two nights with Carl Albert vs William Bell. Discussion on the coming of Christ, Past or Future. Use as a great study tool for responding to arguments and objections. Order Now!